For most of the market advance since the end of the financial crisis, low quality stocks have been the driver of equity returns. One factor that historically leads to outperformance for high quality stocks is increased market volatility. 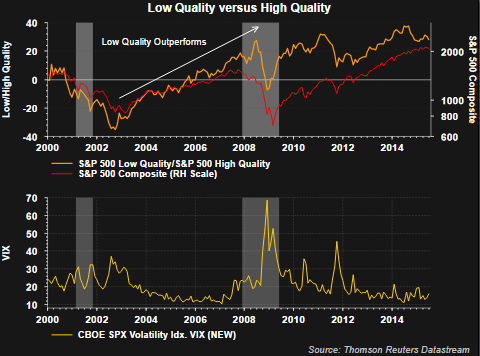 This higher volatility has certainly been absent for nearly four years and is evidenced by the lack of a 10% market correction since October 2011 and a low VIX level. 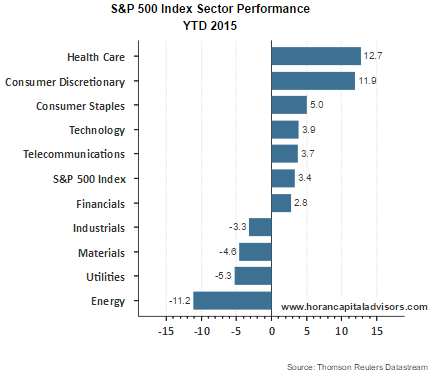 From a sector performance perspective, health care continues to lead the other market sectors over the one year and year-to-date time period. 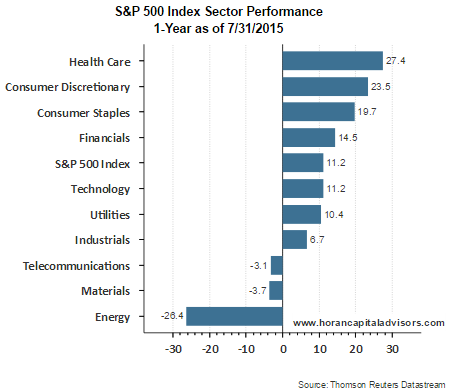 The laggards continue to be materials and industrials. These two sectors have been negatively impacted by the continued strength of the U.S. Dollar and weakness in the emerging markets. The lack of strength in some of the cyclical sectors (materials and industrials) is partially attributable to the slow growth economy in the U.S., the strong dollar and weakness in emerging markets. Last week's GDP report continues to indicate below trend economic growth in the U.S. and a widening gap between actual and trend GDP growth. 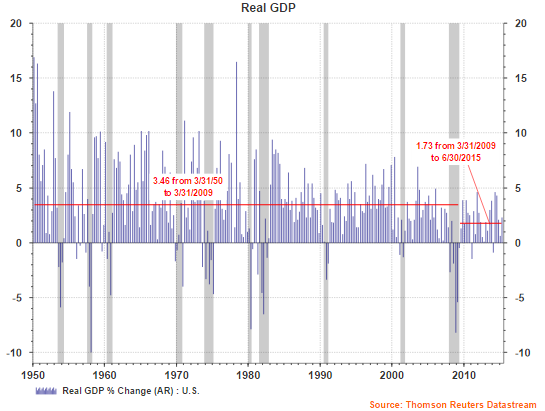 As the below chart shows, real economic growth since the end of the financial crisis has been half of the growth rate that was generated from 1950 through March 2009. This slower pace of economic growth seems to have led some investors to gravitate to the more riskier segments of the market in light of overall lower market volatility. This has pushed equity valuations to slightly above average levels and has resulted in less margin of error for some of these growthier firms.